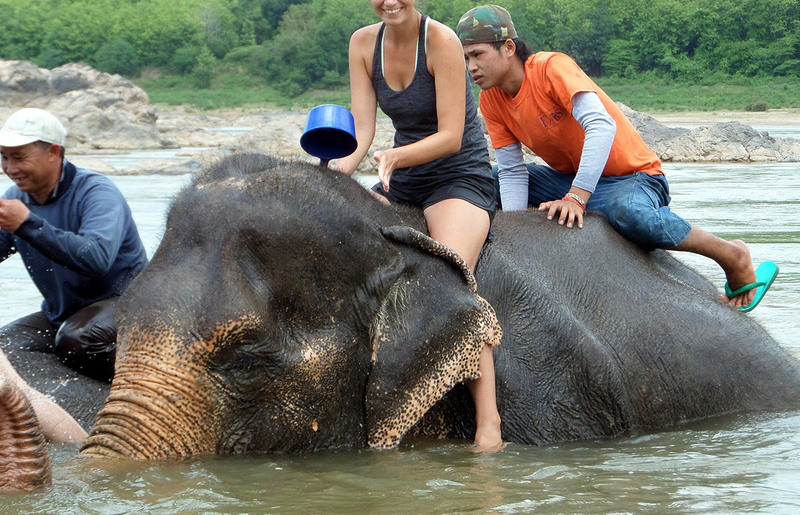 1 or 2 hours riding an elephant in the jungle around Luang Prabang. Since 2010, the government began to protect the elephants by adding laws and financial resources firstly to organize the end of their use in logging. Since then, hundreds of elephants and their mahout lost their traditional dangerous and tiring work. 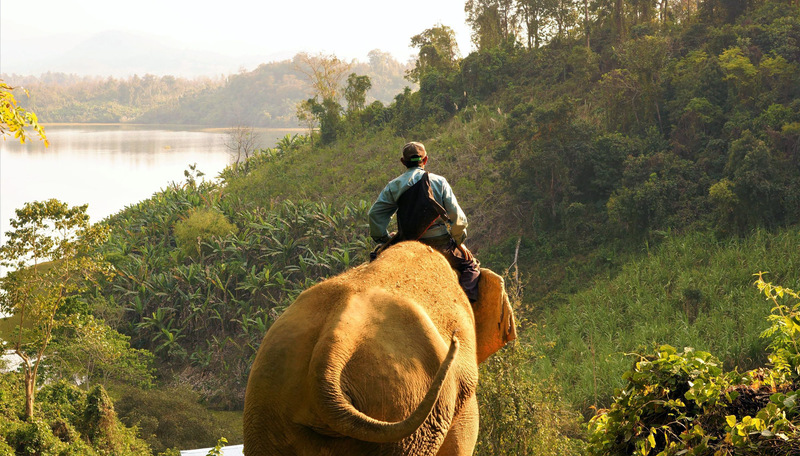 The area of Luang Prabang is well known for centuries to host elephants. With the rise of tourism, probably one of the best ways to help the transition being smooth for a country based on the exploitation of the elephants is to develop elephant camps, park, and protected area in term to let this specie to not decline more (only 800 elephants left in all Lao territory, including 300 wild elephants where the biggest horde is living close to Sayabouri). 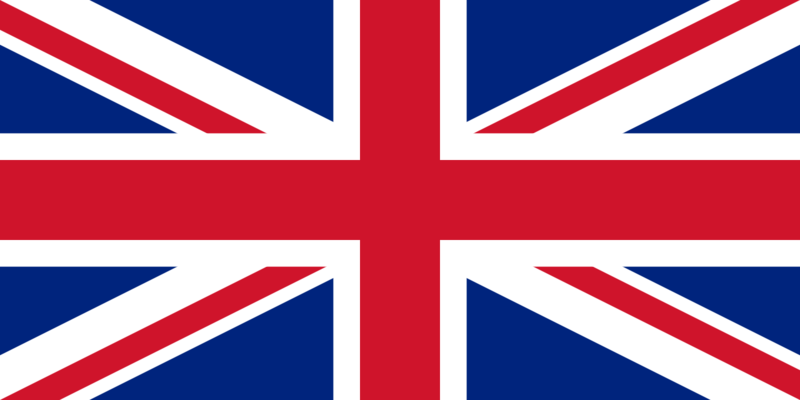 At this time, you will have opportunity to choose between many approach options to meet the elephant. Just watching, riding, bathing, or training the mahout work. 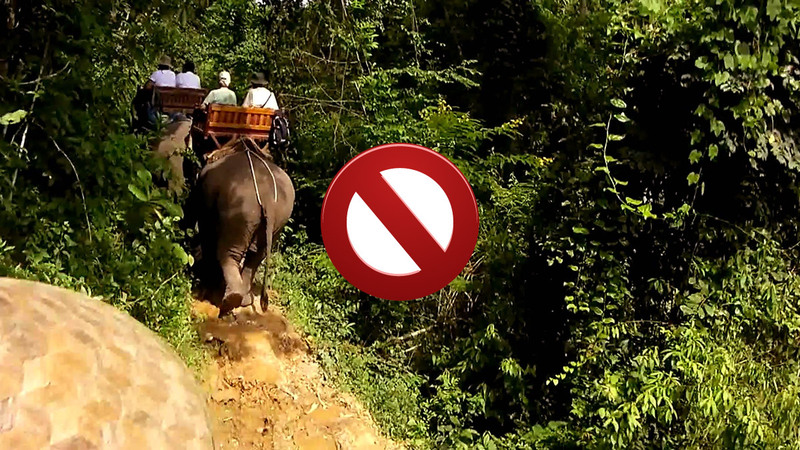 We highly recommend to follow these advise: don’t ride an elephant with a heavy wooden chair, don’t ride 2 persons on the same animal, if you can, survey first about the elephant conditions in the camp. If you can afford, we highly recommend to take 2 days or more in Sayabouri, in the Elephant Conservation Center.